The commonplace Halloween object has roots in 17th century Irish folklore — not pumpkins and candy. Jack-o’-lanterns are among the items that most immediately come to mind when we think of Halloween or even pumpkins in general. And yet, historically, the “jack” in question nothing to do with either the holiday or the orange gourd. As with so many practices woven into the American canon, the Jack o’ Lantern is a cultural import, one whose origins stem back to 17th century Ireland. 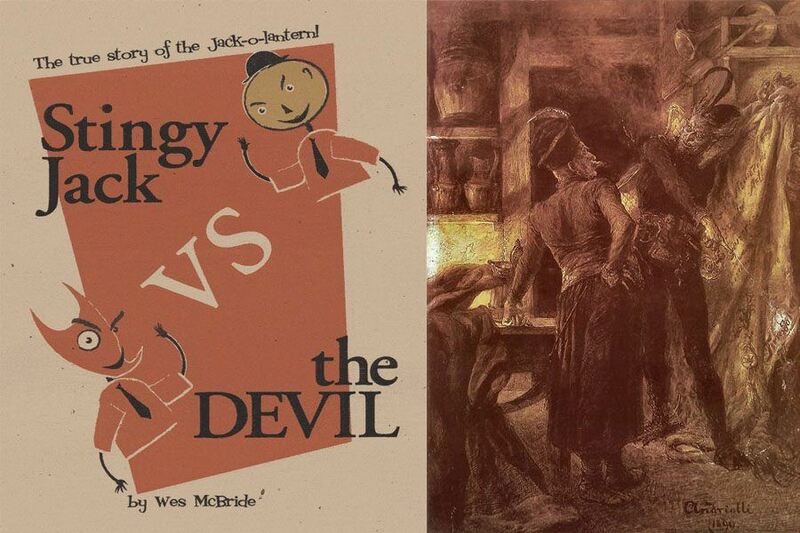 Wes McBride/FlickrThe story of Stingy Jack is a Faustian plot that sees the protagonist make a deal with the devil. It all starts with a man named Stingy Jack. One night, the blacksmith (but most notably a manipulative drunk) invites the Devil out for a drink. Thirsty yet short of cash, Jack convinces the Devil to turn into a coin so that Jack can pay for the drink. Instead of paying, however, Jack keeps the coin in his pocket — right next to a silver crucifix, which prevents the Devil from returning to his natural state. Eventually, Jack agrees to release the Devil from his pocket — that is, only if he leaves Jack alone for a year. After the year comes to a close, Jack and the Devil have another run-in. This time, Jack manages to trick the Devil up a tree by asking him to pick a fruit. Jack surrounds the trunk of the tree with crucifixes, essentially trapping him there. Again, Jack tells the Devil he will release him if the Devil agrees to never admit his soul into hell. The Devil complies. The time of Jack’s death arrives. His manipulative, booze-filled lifestyle prevents him from entering heaven. Dejected, Jack asks the Devil to admit him to hell. The Devil, honoring Jack’s previous demand, denies his request. Instead, he gives Jack an ember to carry in a carved-out rutabaga lantern and sentences him to roam in purgatory for eternity. At the time, the Irish used this legend to explain the ghostly flashes of light seen over marshy bogs at night. According to folklore, these flashes are actually Jack and his lantern roaming the forest, hence the name “jack-o’-lantern.” Nowadays, we contribute the spectral luminescence to photon emissions that plants emit as they decay — it’s a less magical time. 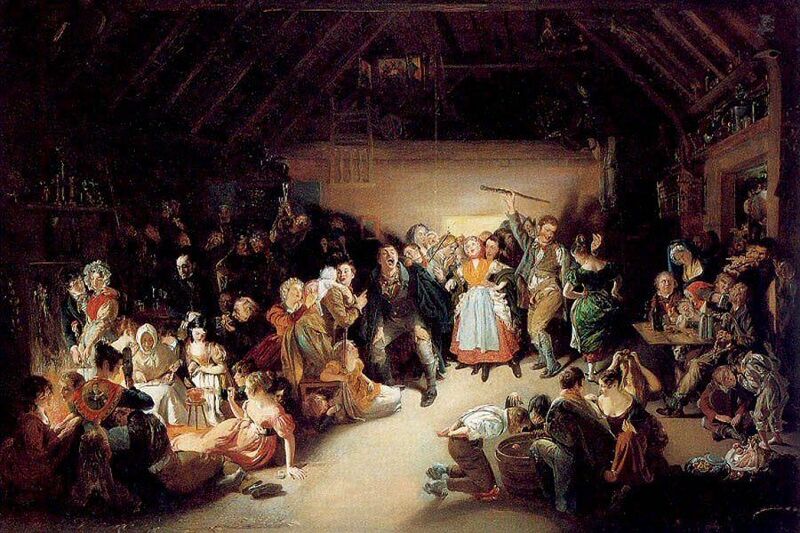 Wikimedia CommonsPainted by Daniel Maclise, Snap Apple Night shows people playing divination games in Ireland on October 31st. Incorporating myth into physical practice, the Gaelic people used carved-out turnips as lanterns in their harvest celebration of Samhain. This festival marks the start of the darker half of the year, when according to mythology the gates to the Otherworld open and the souls of the dead — like Jack — can wander into our realm. Thus children began carrying around the hollowed-out turnips or gourds with burning embers or candles inside of them, symbolizing and warding off the undead spirits. When 19th-century Irish and Scots came to America, they brought the legend of jack-o’-lantern with them. In the U.S., they settled on pumpkins to carry out the tradition as the gourds were in ample supply and easy to hollow out. 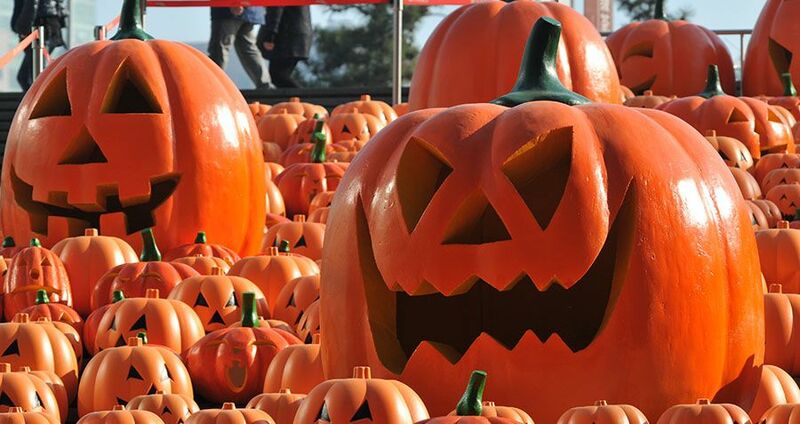 The imported tradition caught on among native populations and thus the Jack-o’-lantern was born. 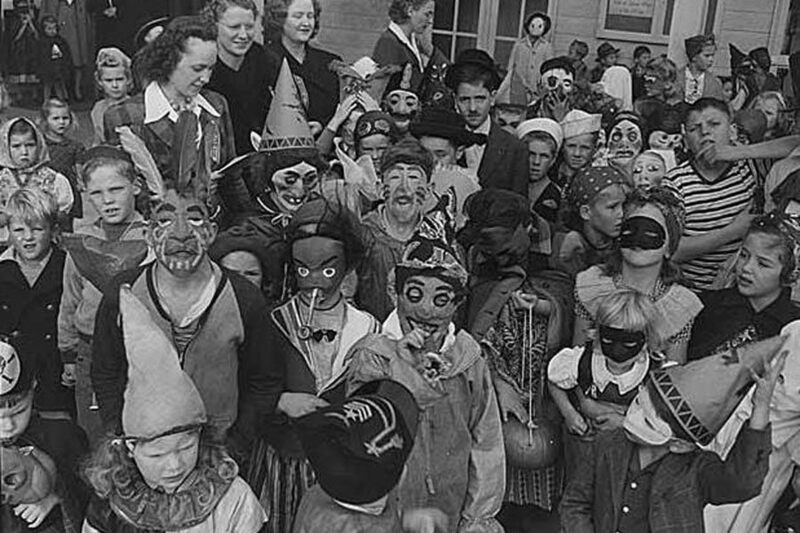 Wikimedia CommonsSeattle trick-or-treaters in 1943. Furthermore, Samhain’s influence extends beyond carved pumpkins; it also partially explains why we go “trick-or-treating” in the first place. Unlike lantern carving, this practice didn’t resume in the States so quickly; it re-emerged around the 1920s. In 1927, the term “trick-or-treating” first appeared in print, and another Halloween staple was born. Thank the Irish. For more Halloween-related history, read up on why you have the Catholics to thank for the candy-filled night and take a look at these creepy Halloween costumes of decades past.